That old philosopher, Woody Allen, pegged it when he said, "Eighty percent of success is showing up." At least I'd like to think so since I've been showing up for years waiting for success to come along. Now, we have a new year and a fresh start to look forward to with our writing, and FWA is moving forward as well. FWA breaks records every day, with membership now topping 1,000 people statewide and in other states, as well. Chrissy Jackson is our new President, and the Board just elected Chris Hamilton as our new Vice President. Look for more exciting news in the near future. Here in NE Florida, we have our own share of good news, as I'm happy to announce the launch of the Clay County Writers chapter. Maureen Jung will lead this group, starting with the initial meeting on Wednesday, January 20 at the Fleming Island Library. More on the meeting below, but Maureen is looking for input from Clay County writers so this is your opportunity to help shape the future of this chapter. First Coast Christian Writers meets tonight (Thursday) and every Thursday at 6:45 p.m. in room 513 of Christ Church, 6045 Greenland Road. Affiliated with FWA, FCCW is open to all. Contact Tracy Redman, tlsl72@yahoo.com, for details. River City Writers meet Tuesday, January 12 at 7:00 p.m. at the SE Branch Library. Chapter leader Gregg Golson reports that this month's program is "A Head Start to Publishing," presented by the writer-illustrator team of Hank & Jan Racer. They'll talk about their publishing journey via co-operative publishing and provide tips for anyone thinking of following their example. Together, Hank and Jan wrote and illustrated the children's picture book, Marky the Barking Bullfrog, and Hank is the author of the award-winning YA novel, The River Rats. Amelia Island Writers move into the new year with chapter leader Maggie de Vries leading a session on "How to Turn History into a Novel." The group meets Tuesday, January 19 at 6:00 p.m. at the Florida House Inn in Fernandina Beach. While this is a dinner meeting, it's not required that you buy dinner to attend the meeting. BTW, Maggie reports that she is the new proprietor of the Books Plus bookstore in historic Fernandina each. Great news. Contact Maggie at maggie1948@yahoo,com. Clay County Writers, as announced above, will hold an organizational meeting to discuss format and future programs on Wednesday, January 20 at 6:30 p.m. at the Fleming Island Library, 1895 Town Center Blvd. Leader Maureen Jung welcomes all Clay County writers and their ideas for future meetings. I'll be there to provide an official FWA welcome to the group, and would like to see a big turnout for Maureen's first meeting. Maureen, pictured at left, has written over a hundred articles for business, popular, and peer-reviewed publications, and provided editing or research on 15 nonfiction book projects. Since 1984, she’s been a Fellow of the South Coast Writing Project, a think tank for writing teachers affiliated with the National Writing Project. She’s taught writing classes at University of California, Santa Barbara, facilitated writing groups, and provided writing and speaker training programs for hundreds of individuals and organizations. Maureen is also the guest speaker at my Ponte Vedra meeting as you'll see if you keep reading. For more information on the meeting, contact Maureen at mjung@wordspringconsulting.com. Ancient City Writers meets on the 23rd of this month instead of the usual third Saturday because the library is closed on the 16th. But be at the Main Library in downtown St. Augustine to hear science fiction author Chris Berman talk about how to craft a story using research and facts to make the story credible and realistic. They meet at 10:15 a.m.
Ponte Vedra Writers hosts Maureen Jung at 10:30 a.m. on Saturday, January 23 at the Ponte Vedra Branch Library. With her business writing and speaker training background, Maureen will provide meaningful insights to improve the communication process for writers and speakers. “Communicate with Purpose: How to Optimize Your Impact” is an inter-active workshop focusing on how technology has changed today’s communication environment, how this affects our messages, and what we can do about it. Maureen explores the use of five key communication tools for greater clarity, better tone, and increased power in print, in person, and in electronic communication. Amelia Island Book Festival As reported in last month's blog, this year's AIBF has an ambitious schedule of workshops and events for both writers and readers. The Writers Workshop offerings on Friday, February 12 offer 16 different session on various topics concerning the craft of writing from poetry to memoir writing, from journalism to screenwriting. Plus there's a luncheon with two keynote speakers. All for $90. Check out the website for all the details, including the panels and author talks on Saturday, February 13, and the special event with Pat Conroy, right, and his daughter Melissa. Much Ado About Books has always been one of NE Florida's favorite book and author events. This year's cranks up on February 26 with an intensive 5-hour write rs workshop by Steve and Liz Berry. The NY Times bestselling author will cover key elements of the craft of writing, including POV, dialogue, plot structure, Steve's 10 Rules of Writing, and the Business of Writing. If you've seen Steve in action before, you'll know this is going to be a special day. Steve and Liz recently formed a foundation called History Matters, and they are donating their time. The workshop fee of $100 goes to help the Jacksonville Public Library. 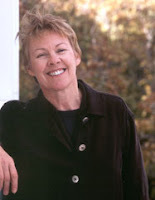 The Keynote Luncheon on Saturday features bestselling author Mary Kay Andrews. Again, details at the website. Florida Sisters in Crime meets this Saturday, January 9 at 10:30 a.,. at the SE Regional Library. Guest speakers are Mac & Marie Vernon, discussing their new true crime book, Deadly Charm. Next month the group will hear from Michael Knox, Traffic Accident Re-constructionist. They have a new website. Check it out at the above link. The Florida Heritage Book Festival is hosting a special fundraising event that is both unique and appealing on Wednesday, January 27 at 3:00 p.m. at the Casa Monica Hotel. "Five Women of the Ages" celebrates five women from St. Augustine's storied past in both a dramatic reading by Karen Harvey, and an exhibition of paintings. Billed as an Afternoon Tea at the Casa Monica, the event costs $30 per person and all proceeds benefit the FHBF. Send your check, made payable to FHBF, to Kathy Dvornick at 1261 Paradise Pond Road, St. Augustine, FL 32092. Kathy is the co-director of the festival this year with Karen Harvey and reports that they have already scheduled several big name authors for the September event. More news will follow. North Florida Writers meets on the second Saturday of every month at 2:00 p.m. at the Webb-Wesconnett Regional Library off 103rd Street. The Scribbler's Retreat Writers Conference in St. Simon's Island, GA, February 11 - 13, (is it just me, or are there a lot of writing events in February?) will feature Haywood Smith, author of The Red Hat Club, as well as Adam Davies, Anna DeStefano and others. SleuthFest 2010 slinks into view, February 25 - 28 at the Deerfield Beach Hilton in north Broward County. Always a super conference for writers and lovers of mysteries, the conference will include presentations by David Morrell, the creator of the Rambo franchise, and Stephen J. Cannell. And don't forget UNF's Learn Jacksonville Program is back from holiday recess with a number of excellent writing workshops, including Sharon Cobb on screenwriting, Carol O'Dell's memoir writing class, John Bole's creative writing, and my Novel in a Day workshop on both February 20 and March 27. Click on the above link to find details of each of them in the course catalog. If you're looking for a critique group, check out the Bard Society for fiction writers. It meets in the home of Frank Green on Thursday evenings. Frank has been leading the group for several decades now and had at least one bestselling author emerge from the group. Contact Frank at frankgrn@comcast.net. Christine M. Ramey leads a group meeting at the Webb-Wesconnett Library on the first Monday of the Month from 2:00 to 4:00 p.m. You can reach Christine at christineramey72@att.net. The Ancient City Writers conducts critique sessions after their speaker each month, as does FCCW. That's all the news that fits for now. Check out the FWA meeting, the conferences and stay involved with your writing brethren. This could be the year success finds its way to your front door.